The dynamics of Digital marketing are changing at a rapid speed. The fastest way to keep pace is to keep reading. However, in an ever expanding mélange of blogs, it can be hard to distinguish a more useful read and other mediocre and bad stuff in the digital marketing domain. There are too many quality blogs, which are valuable, reliable, compelling and original. 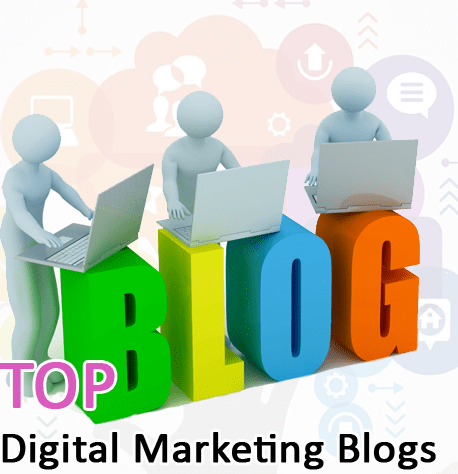 Here is a list of the top Digital Marketing Blogs Every Business Should Bookmark. These blogs may be bookmarked and kept marked in a spreadsheet or can be shared among digital marketing friends. Moz Blog has good blog posts on every element of an SEO strategy. It covers technical issues, duplicate content issues and relationship building issues. Moz Blog gives tips on latest SEO updates. The best thing about “Marketing Land” is daily breaking news stories about the digital marketing industry. Digital marketing news, practical tips and strategies used in digital marketing campaigns are a great pull. The expert articles written by subject matter experts are hard to miss. It is constantly updated with important digital marketing announcements, which helps enterprises to stay ahead of the competition. Specialized in analytics marketing, the blog reflects core knowledge. The beautifully designed infographics have digital marketing statistics, case-studies and tests. The digital marketing guides tackle email marketing, social media and customer analytics. It is best in content marketing research and includes information on the industry benchmarks, budgets, and trends. The blog houses compelling articles on the best content strategy, storytelling, and blogging practices. Another bonus, its updates on the latest content marketing events. Good to learn, craft and implement measurable content marketing strategy of your own. 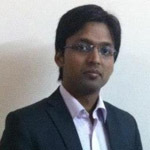 This blog by Avinash Kaushik touches every aspect of Google Analytics. From in-depth how-to guides and information on a range of topics, it covers qualitative analysis, competitive intelligence analysis, analytics tips and web metrics that is humungous. Social Media Examiner dispenses useful advice on social media including Facebook, Twitter, YouTube, Google+ and Pinterest. It is certainly useful for earning the advice of social media experts on formulating effective social media strategies for each channel. The Blog posts include expert interviews, innovative case studies, reviews, industry research, podcasts and social media news. Case study blog posts are useful in planning social media strategy and content calendars. Let us also look beyond blogs and ponder loud about Ideas that can shake conventional digital marketing methods. According to US Digital marketer, Steve Olenski starting a podcast is a great idea. Not only it ranks well in Google, but also gives a chance to build solid virtual relationships with the listening audience. He notes that business relations are built faster with people who are liked and trusted most. Jet Digital Marketing, CEO vouches that his team used podcasts as part of the marketing plan and reaped amazing successes with increased traffic and higher conversion rates. The veteran marketer recommends publishing a book by business leaders as “business flows both offline and online” as far as industry leaders are concerned. He urges publishing a book on any topic where a person is an authority. The benefit is good media attention can be grabbed and it becomes an opportunity in building relationships. As a courtesy, he also recommends leaving a pop-up thank you to shoppers who leave their email for alerts while sharing products via Pinterest, Facebook and Twitter. Great post thanks for sharing this info! !